Whether you bake the old-fashioned way or use a bread machine, many of your favorite bread recipes likely require butter. Melted butter is a common ingredient in yeast breads, including white and wheat breads, as well as sweet rolls. Unlike in most baked goods, with bread it is not important to replace butter with another solid fat, allowing a wider range of substitutions. 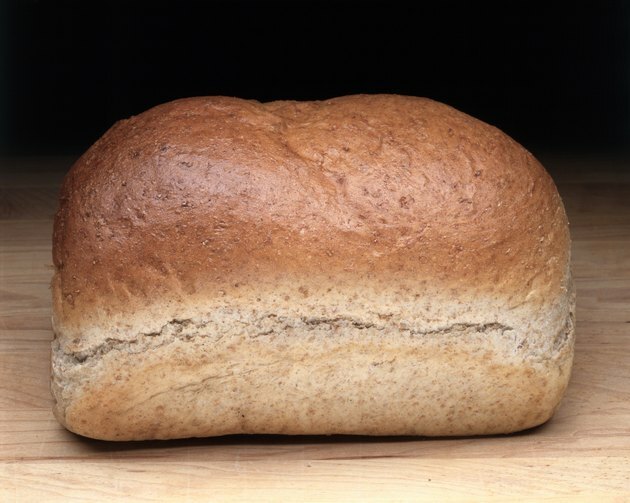 Fat serves two distinct functions in bread making. Adding fat weakens the gluten network in bread dough, producing a softer loaf. Breads made with fat have a tender, rather than chewy mouth feel. Fat also extends the shelf life of your bread. 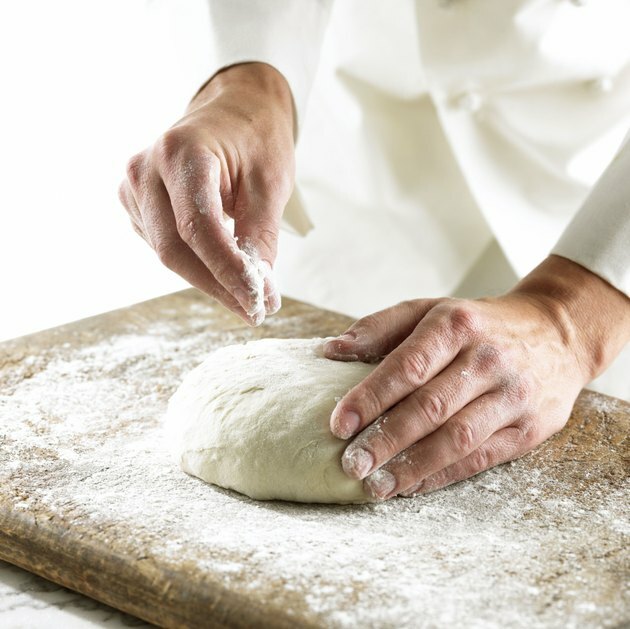 Breads made without fat are likely to go stale much faster than those with butter or other fats, notes Purdue University's Indiana 4-H resource. While you can bake bread without fat, you will get a better result if you substitute the butter, rather than eliminate fats altogether. You can replace butter with any of a variety of other solid fats. Margarine, shortening, lard or coconut oil can all take the place of butter. Consider flavor when you swap out one of these fats for butter. 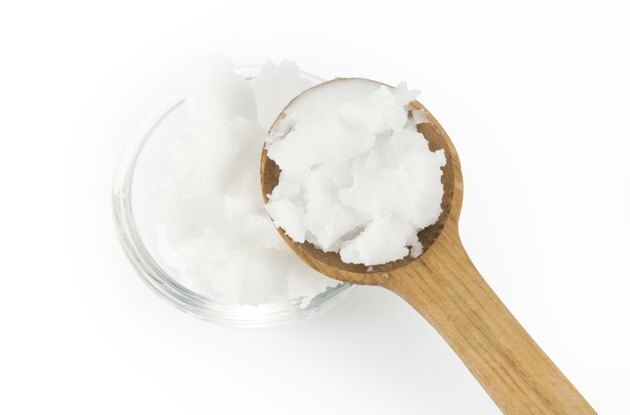 Margarine may not alter the flavor substantially, but lard or coconut oil will. While lard adds a slight meaty, salty flavor to your bread, coconut oil will add a bit of sweetness and a slight nutty taste. Surprisingly, you can substitute ricotta cheese for the butter in your favorite bread recipe. 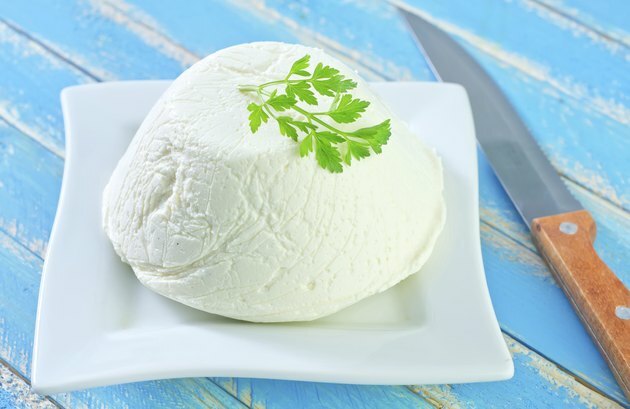 Replace three-fourths of the butter in the recipe with ricotta cheese. 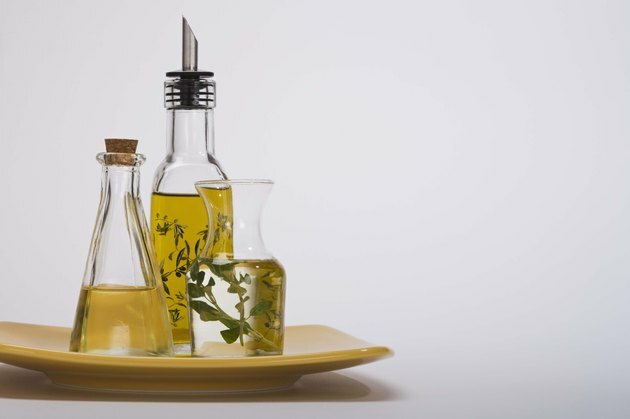 Substitute a heart-healthy oil for the remaining fat. You may use full fat or low-fat ricotta cheese in breads to produce a moist, tender loaf with a delicate crumb. Allow ricotta breads to cool completely before cutting into the loaf. NZ Institute for Crop and Food Research; The Chemistry of Baking; J. H. Czernohorsky et. al. What Can Be Used to Substitute for Shortening in Baking Biscuits?